SmartSaver1+12 by smart-saverplus is a malicious software which trying to lure its users that it help enhance their online shopping experience, but what they get is absolutely different to what its offered. Most online shopper�s likes to find best offers, discounts, deals, and freebies. For them, it is a good thing that there is a tool like SmartSaver1+12. It is a plug-in or extension created to show coupons on every shopping site visited. It can be in a form of pop�up or drop-down ads, as the name suggests. Usually, SmartSaver1+12 add-on is injected to web browsers like Internet Explorer, Edge, Mozilla Firefox, and Google Chrome. In reality, this adware truly provide best deals online. However, many users do not know is the harm that SmartSaver1+12 causes once it is installed. Not to mention that SmartSaver1+12 uses deceiving ways to enforce its entry on target PC. Authors of adware are using tricks so that users get the adware even they did not request for it. So, be watchful when downloading free software. From the recent study, security experts claimed that there is difficulty in manually removing SmartSaver1+12 ads from the browser. They find that it is hard to locate entities of this adware. It has the ability to use random names for components it is installing on the computer. Removing manually is not sufficient for this type of adware. SmartSaver1+12 intends to leave some files behind so that it can be re-launched anytime. - Control Panel window will open. Please proceed to the next step which is uninstalling SmartSaver1+12. 4. Select adware relevant to SmartSaver1+12 or any suspicious items. 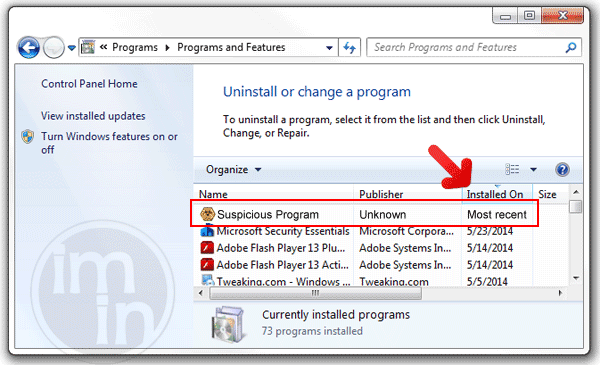 Then, click on Uninstall button to remove it from Windows. To remove SmartSaver1+12, download MalwareFox Anti-Malware. This tool is effective in getting rid of Trojans, viruses and malware. 1. When troubleshooting a PC, one common step is to boot operating system into Safe Mode with Networking. The same approach will be used in the removal of SmartSaver1+12. Please execute instructions based on your Windows OS version. To make sure that no more malicious files linked to SmartSaver1+12 are inside the computer, we must run another effective scanner. This time, use Junkware Removal Tool. No installation is necessary with this tool. 6. After scanning the computer, JRT will open a Notepad containing scan logs. It may have not find SmartSaver1+12 relevant entities, but it will surely delete any malicious items not found in the previous scans. 4. 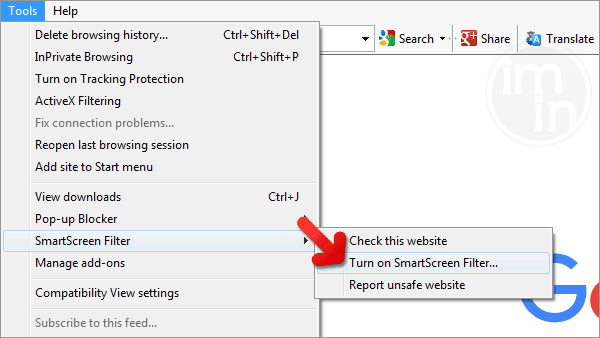 At the bottom of the page, click on Reset settings to remove all changes made by SmartSaver1+12. 4. In order to reverse modifications caused by SmartSaver1+12, click on Reset button to bring back Internet Explorer's settings to their default condition. 3. Click on Refresh Firefox button to erase the effect of SmartSaver1+12. SmartScreen filter is a built-in feature in Microsoft Edge browser that can help you deter malicious programs such as SmartSaver1+12. It can block malicious web sites and downloads.